Under the National Vetting Bureau (Children and Vulnerable Persons) Act 2012 (no 47 of 2012) it is a criminal offence not to have Garda vetting disclosure when working with children and vulnerable adults. This applies to staff that started from the 29th April 2016. When TUSLA inspect, the employee can be removed from the service. For employees employed pre-April 2016 it will result in a non-compliance and a condition will be added to the registration. Garda vetting carried out through the national vetting bureau covers the Republic and Northern Ireland. All employees, volunteers and students working in the service must be Garda vetted. This includes relief staff. This also applies to the Board of management/Directors. Transition year students do not require Garda Vetting if under 18 years of age. Garda Vetting will be required, however, for all transition students over 18 years. However, prior to any decision by the registered provider carrying on an early years service to facilitate a Transition Year student placement – it is imperative that at least two references from reputable persons [one being from the school that the student attends] are sought in writing and are confirmed and checked. All references should be requested from someone who has first-hand knowledge and experience of the student. The references can be from the secondary/second level school, previous employment, or work experience or from any independent person in the community. If an early years service wishes to have these students vetted, a Parent/Guardian Consent Form must also be completed. The parent or guardian must supply their own email address and phone number on the Vetting Invitation NVB1 Form, and not the child’s email address and phone number. This is made clear by the Vetting Invitation Form for Under-18s, which is especially for applicants aged under 18 years. Students must not be allowed to supervise children in an early years service. They must be accompanied at all times by a member of staff. Students are supernumerary and cannot be regarded as staff; therefore, they cannot be considered part of the adult/child ratio. For more information, please see Tusla’s Frequently Asked Questions. Please note that people aged under 16 cannot be Garda vetted. Support Staff that visit the service on a regular basis should be Garda Vetted. Other precautions to safeguard children should also be put in place (e.g. not allowing support staff have unsupervised access to children). Staff from other agencies such as Enable Ireland can transfer their vetting from that agency to the service but providers are required to risk assess any disclosures as they would with other staff. Parents who accompany children on occasional outings do not require Garda vetting. They should not be allowed unsupervised access to children. Visitors like the local firefighter or a parent (giving a talk about their work) do not need Garda Vetting but should not have unsupervised access to children. Persons making once off visits do not require Garda vetting but should not have unsupervised access to children. If vetting, references or qualifications are in another language not English) these will be translated. This is our responsibility as employer. Police vetting (not Garda vetting) is the property of the individual and can be used in multiple services. It can be copied and held on file, once the original has been seen. Such vetting procedures shall be carried out prior to any person being appointed or assigned or being allowed access to a child in the pre-school service. 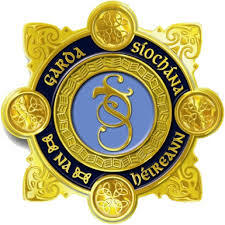 This should be done: (a) By reviewing past employer references in particular the most recent employer reference in respect of all staff (b) By referring to references from reputable sources in respect of all students and volunteers (c) By acquiring Garda vetting from An Garda Síochána when An Garda Síochána have set down procedures to make such vetting available (d) In circumstances where Garda vetting is not available for staff, students and volunteers who have lived outside the jurisdiction, by ensuring that these persons provide the necessary police vetting from other public authorities. It is good practice that all pre-school services have management, recruitment and training policies, including a policy regarding vetting and possible outcomes for both new and existing employees, students and volunteers. Good practice would also suggest that you have your existing staff vetted every three years. The form, when filled out, should be sent by the childcare service, to the appropriate organisation, not directly to the Garda Vetting Unit. This process takes some weeks and the time amount varies depending on workload of the Unit.